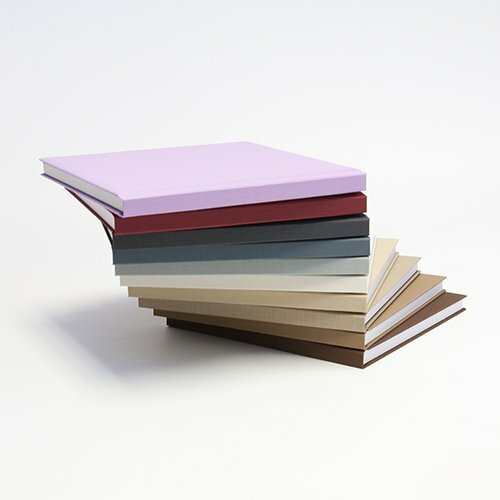 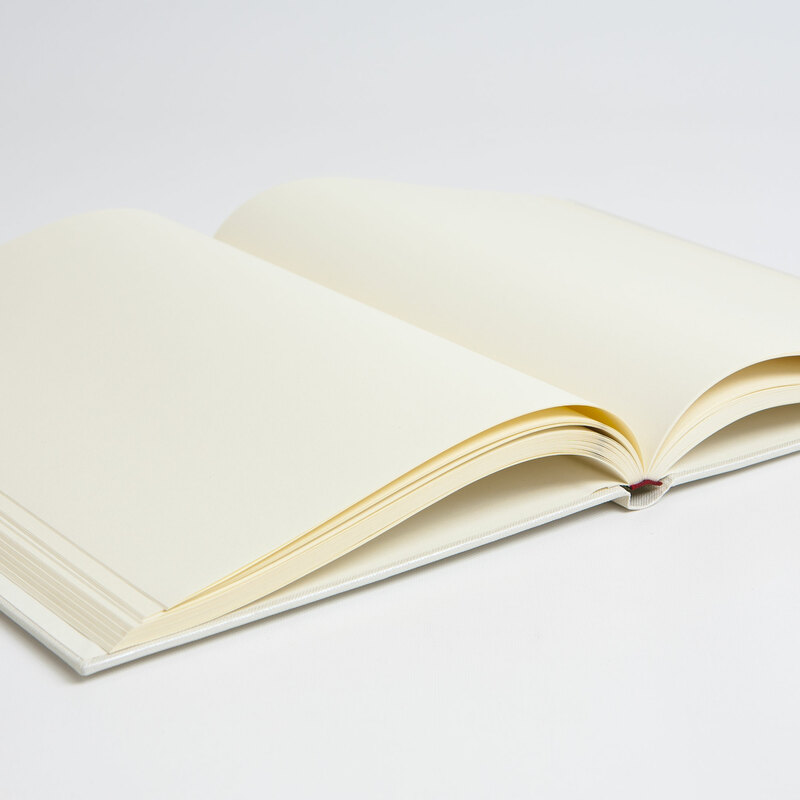 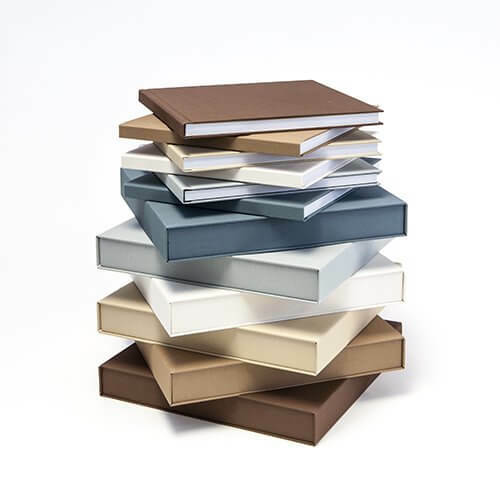 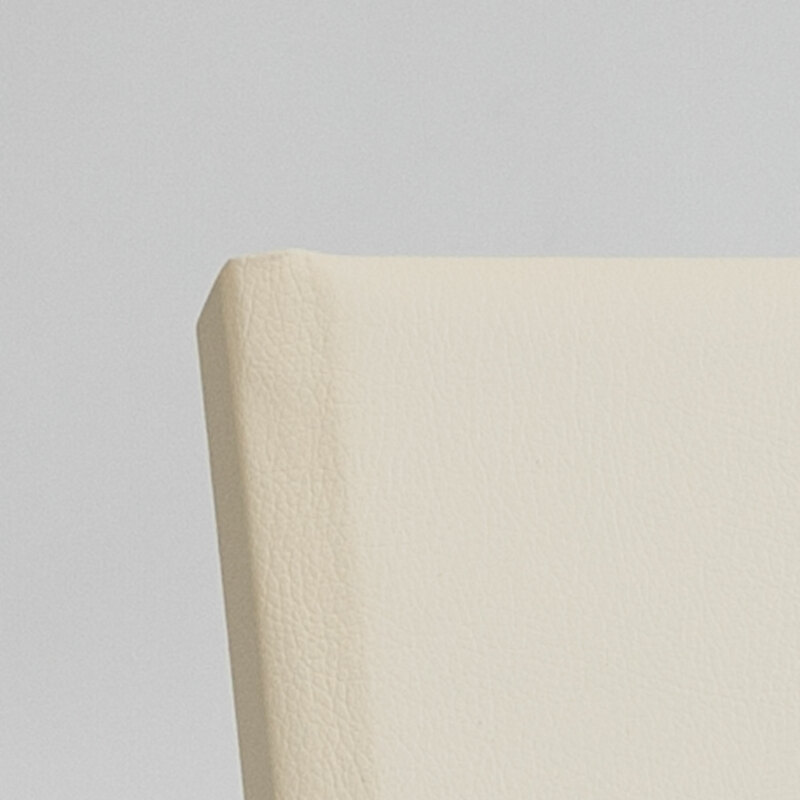 Our books feature 120 g chamois-coloured paper in a sewn binding. 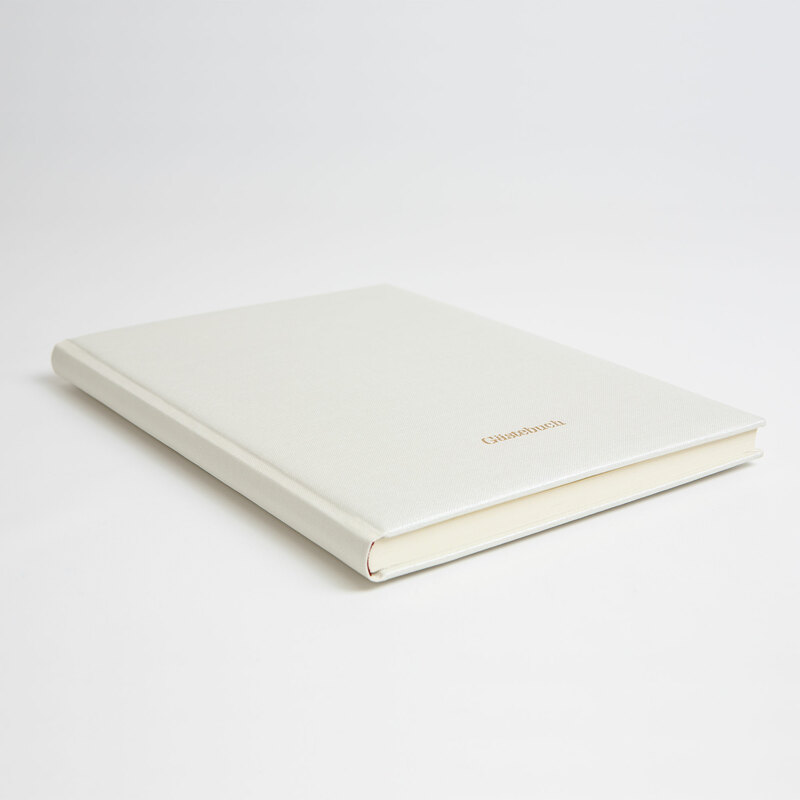 Each book leaves our atelier with 132 pages, in 30 cm × 30 cm, or A4 portrait format. 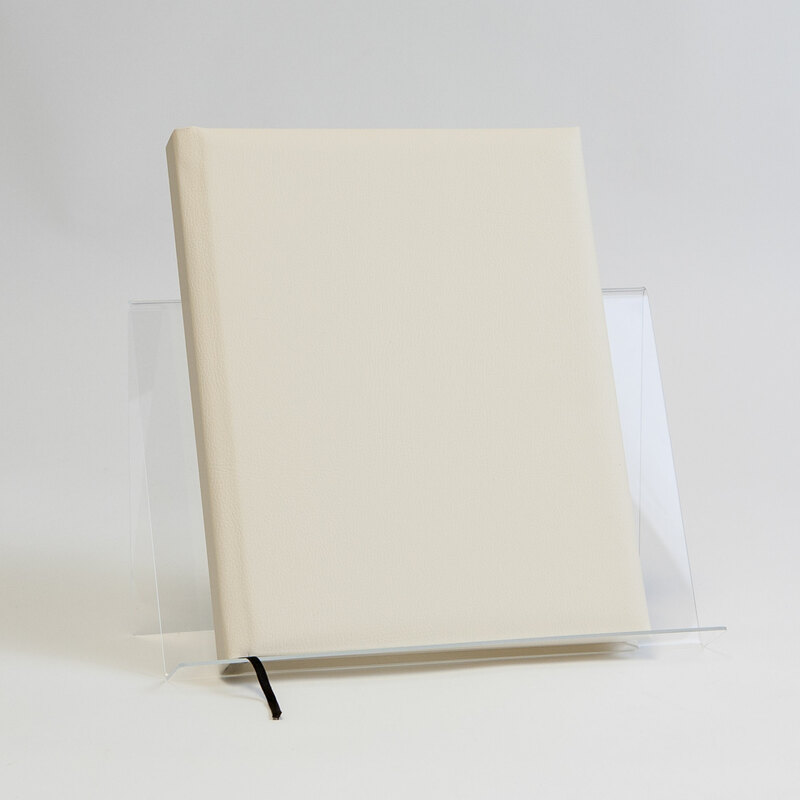 Here too you have all our cover materials at your disposal, not to mention the opportunity to add embossed text or clichés to the book covers.